Have you ever looked at a clock, sign, or radio and seen repeating numbers? While this might seem like a silly coincidence at first, repeating numbers and number sequences can provide powerful insight into how our lives will unfold. Our angels, spirit guides, and higher selves like to speak to us through simple methods that we can easily notice and understand. Here on Earth, communication already can seem challenging, but when it comes to talking with people or spirits in another dimension, that delves into a whole new level of difficulty. Because our higher selves and spirit guides operate on a totally different dimension, they must speak to us through their own mediums. They use numbers, songs on the radio, dreams, and other methods to send us messages; however, repeating numbers seems to be their favorite way to communicate. Don’t just dismiss repeating numbers and number sequences when you notice them – they actually have incredible meaning behind them, which we’ll explain below. Different sequences of numbers have different meanings – for example, seeing 11:11 means that you have become in tune with your soul, and are following the right path. You are in a wonderful space to manifest your wildest dreams, and have a great connection between yourself and the universe. If you’d like to read more about the meaning behind 11:11, you can do so here. Seeing 1’s essentially means you have gotten in touch with your soul purpose, and know exactly what you want out of this life. Seeing 2’s means that you should continue on your path, regardless of what others may think. Don’t fear being ridiculed for allowing your true self to shine through. Whatever you feel has been holding you back, just let go and let flow. Believe in yourself, and stand up for what you feel even if you must walk the path alone. 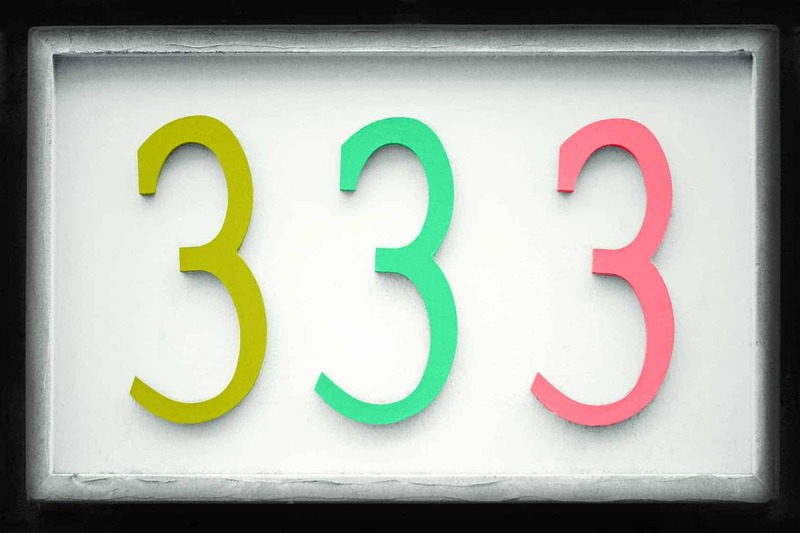 Seeing 3’s means that your spirit guides have been summoned to help you along your path, and that you are always protected. Don’t live in fear, but rather, embrace the fact that you have been blessed by the divine light and energy of your angels. They will not let you fall into a bad situation or allow anything negative to happen to you. If you see 4’s repeating, you will begin to attract abundance in all aspects of life. If you have been struggling financially, spiritually, emotionally, or in any other manner, you will start to see your life transform dramatically. You have tapped into the energy of the universe, and will begin to see positive changes in many parts of your life. Seeing 5’s means that your life will begin to move forward in a positive direction. So, if you’ve been feeling stagnant, lost, or afraid lately, don’t let these worries take over. Keep following your heart, and everything will fall into place perfectly. It might seem like things have taken a while to manifest for you, but never fear – big changes are just around the corner for you. Seeing 6’s means that you need to spend more time going within and slowing down. Though repeating 6’s have a negative connotation, looking deeper into the message reveals that you just need to take more time out for you. You might have recurring negative thoughts or notice that your life seems to keep spiraling downwards, so this points clearly to a need for relaxation and rebalancing. If you look after your own energy, you will start to see that better energy will come back to you. Repeating 7’s means that the doors are wide open for you to continue learning and growing. You will keep evolving into a more conscious being, and learn even better ways of living that will encourage and motivate others to replicate. Seeing 8’s is very rare, but it means you have tapped into a very deep, hidden realm of the universe that many people never venture to. Repeating 8’s have a very healing, shamanic energy, so if you see them, don’t take it lightly. You might be on your way to discovering profound truths about how the universe works. 9’s signify a closing of one chapter and the opening of another. Maybe you have a relationship or job that you feel no longer serves you, so now would be the time to let it go and continue walking your unique path. Repeating 9’s have been called a “master number,” because you will learn important lessons on your soul journey that will accelerate your growth as a spiritual being.